2. Nguyen V. D. 1993. Medicinal Plants of Vietnam, Cambodia and Laos. Nguyen Van Duong: Vietnam. 6. Nguyen, V. D. and Doan, T. N. 1989. 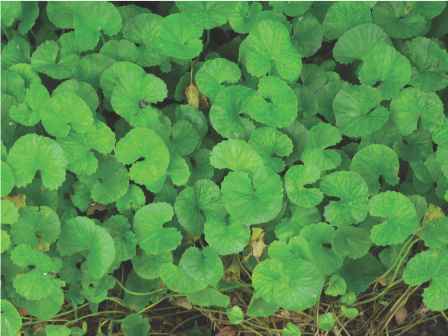 Medicinal Plants in Vietnam. World Health Organisation, Regional Office for the Western Pacific, Manila, Institute of Materia Medica, Hanoi. 7. Saxena, V. K. and Sharma, D. N. 1999. Fitoterapia 70: 328-329. 8. Kennelly, E. J., Cai, L. N., Kim, N. C. and Kinghorn, A. D. 1996. Phytochemistry 41: 1381-1383. 9. Tahirov, T. H., Lu, T. H., Liaw, Y. C., Chen, Y. L. and Lin, J. Y. 1995. Journal of Molecular Biology 250: 354-367. 10. Wang, J. P., Hsu, M. F., Chang, L. C., Kuo, J. S. and Kuo, S. C. 1995. European Journal of Pharmacology 273: 73-81. 11. Lin, J. Y., Lee, T. C. and Tung, T. C. 1978. International Journal of Peptide and Protein Research 12: 311-317. 12. Lin, J. Y., Lee, T. C., Hu, S. T. and Tung, T. C. 1981. Toxicon 19: 41-51. 13. Bhardwaj, D. K., Bisht, M. S. and Mehta, C. K. 1980. Phytochemistry 19: 2040-2041. 14. Ghosal, S. and Dutta, S. K. 1971. Alkaloids of Abrus Precatorius. Phytochemistry 10: 195-198. 15. Kim, N. C., Kim, D. S. and Kinghorn, A. D. 2002. Natural Product Letters 16: 261-266. 16. Yadava, R. N. and Reddy, V. M. 2002. Journal of Asian Natural Product Research 4: 103-107. 17. Limmatvapirat, C., Sirisopanaporn, S. and Kittakoop, P. 2004. Planta Medica 70: 276-278. 18. Singh, R. B. and Shelley. 2007. Journal of Environmental Biology 28: 461-464. 19. Jain, S. K. and DeFilipps, R. A. 1991. Medicinal Plants of India, volume one and two. Reference Publications Inc.: United States of America. 20. Zore, G. B., Awad, V., Thakre, A. D., Halde, U. K., Meshram, N. S., Surwase, B. S. and Karuppayil, S. M. 2007. Natural Product Research 21: 933-940. 21. M0lgaard, P., Nielsen, S. B., Rasmussen, D. E., Drummond, R. B., Makaza, N. and Andreassen, J. 2001. Journal of Ethnophar-macology 74: 257-264. 23. Kuo, S. C., Chen, S. C., Chen, L. H., Wu, J. B., Wang, J. P. and Teng, C. M. 1995. Planta Medica 61: 307-312. 24. Moriwaki, S. O. H., Bakalova, R., Yasuda, S. and Yamasaki, N. 2004. Toxicology and Applied Pharmacology 195: 182-193. 25. Ramnath, V., Kuttan, G. and Kuttan, R. 2002. Indian Journal of Physiology and Pharmacology 46: 69-77. 26. Ohba, H., Moriwaki, S., Bakalova, R., Yasuda, S. and Yamasaki, N. 2004. Toxicology and Applied Pharmacology 195: 182-193. 27. Ghosh, D. and Maiti, T. K. 2007. Immunobiology 212: 589-599. 28. Ghosh, D. and Maiti, T. K. 2007. Immunobiology 212: 667-673. 29. Bhutia, S. K., Mallick, S. K., Stevens, S. M., Prokai, L., Vishwanatha, J. K. and Maiti, T. K. 2008. Toxicology in Vitro 22: 344-351. 30. Bhutia, S. K., Mallick, S. K., Maiti, S. and Maiti, T. K. 2008. Chemico-Biological Interactions, 174: 11-18. 31. Schottelius, J., Marinkelle, C. J. and Gomez-Leiva, M. A. 1986. Tropical Medicine and Parasitology 37: 54-58. 32. Ramnath, V., Kuttan, G. and Kuttan, R. 2002. Indian Journal of Experimental Biology 40: 910-913. 33. Tripathi, S. and Maiti, T. K. 2003. International Immunopharmacology 3: 375-381. 34. Ramnath, V., Kuttan, G. and Kuttan, R. 2006. Immunopharmacology and Immunotoxicology 28: 259-268. 35. Tripathi, S. and Maiti, T. K. 2005. International Journal of Biochemistry and Cell Biology 37: 451-462. 36. Singh, S. and Singh, D. K. 1999. Phytotherapy Research 13: 210-213. 37. Duke, J. A., Bogenschutz-Godwin, M. J., duCellier, J. and Duke, P. A. K. 2002. 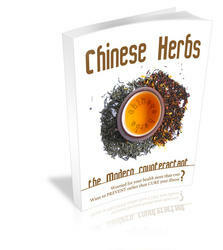 Handbook of medicinal herbs. CRC Press: Boca Raton, FL. 38. Fernando, C. 2001. Anaesthesia. 56: 1178-1180. 39. Bradberry, S. 2007. Medicine 35: 576-577. 40. Sinha, R. 1990. Journal Ethnopharmacology 128: 173-181. 41. Sinha, S. and Mathur, R. S. 1990. Indian Journal of Experimental Biology 28: 752-756. 42. Ratnasooriya, W. D., Amarasekera, A. S., Perera, N. S. D. and Premakumara, G. A. S. 1991. Journal of Ethnopharmacology 33: 85-90.